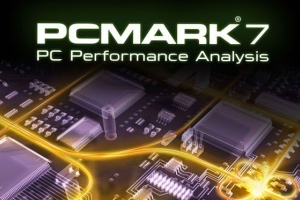 After a short delay, Futuremark has delivered the next major release of its PCMark full-system benchmarking tool for Windows 7. The newest version, PCMark 7, was designed taking modern hardware into account, including solid-state drives, CPUs with integrated graphics and computing capabilities and devices such as netbooks and tablets. In total there are seven different tests to measure various aspects of PC performance. Overall system performance is measured by the PCMark test. The Lightweight test measures the capabilities of entry-level systems and mobility platforms unable to run the full PCMark test. Common use performance is measured by the Entertainment, Creativity, and Productivity tests, while component performance is measured by the Computation and Storage hardware tests. Tests use several real applications and games to replicate how they would behave without needing to install, run and measure each individual piece of software. And like previous releases it has a relatively simple interface so anyone can simply click a button and get a detailed system score after a few minutes. PCMark 7 is available in three versions, including a free download that allows unlimited test runs of the main PCMark test. Those who want access to the all various workloads designed to show particular areas of system performance can opt for the Advanced Edition, which retails for $40, and the Professional Edition licensed for commercial use is $1,000.